Although academic leaders have looked to the promise of a “paperless office” for many years, that future vision never seems to materialize. While it’s true that many forms of communication that appeared in hard copy now reach us in electronic versions, we still seem to be inundated by a never-ending stream of paper documents, policies, memoranda, petitions, appeals, and announcements that often seem too important to throw away but too numerous to occupy the limited real estate of our desks. Academic leaders can choose from a number of organizational systems, each of which claims to be the best or possibly the only approach that actually works. The two most important organizational systems are diametrically opposed to one another, so you can’t try to blend them. Just pick the one that you can stick with. The KonMari Method, as presented in Marie Kondo’s The Life-Changing Magic of Tidying Up. For Kondo, getting organized should be a massive, one-time activity. It is like undergoing a lifestyle change in terms of what you eat and when, not going on a temporary diet. 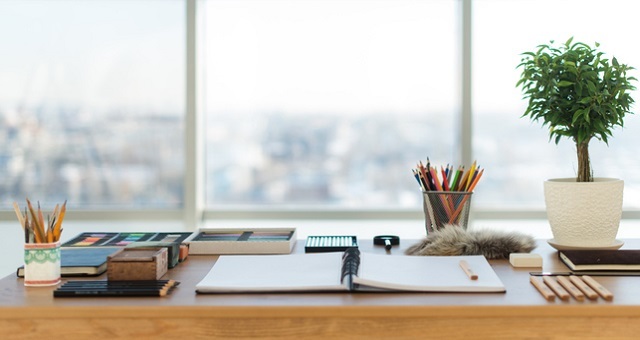 You block out the time you need to get your office in order, purge what you don’t need, store what you do need, and maintain that level of neatness from that point forward. Marla Cilley’s “Five-Minute Room Rescue,” as popularized on FlyLady.net. Set a timer for five minutes. Neaten up your office until the timer goes off. Do the same thing every day. Which system is right for you? Consider the approach you use when you move. If you can’t relax in your new home until you’ve unpacked every box and put everything away, you’ll probably be more successful with the KonMari Method. If you prefer to unpack one box a day even if it takes six months until you’re fully moved, you’d probably find the “Five-Minute Room Rescue” easier to sustain. Regardless of whether you’re engaging in a week-long organizing marathon or stretching the process out over several months, the first thing you need to do is to get rid of the stuff you don’t need. Certainly, institutional policies govern how long we have to maintain certain records, but there’s no reason why those records have to be taking up room in your office. Archive them or scan them into electronic versions, if your institution allows it. Practically everything exists somewhere in duplicate, triplicate, or quadruplicate. You’ll be able to find another copy if you ever need it again someday (you won’t). Start your purging with routine paperwork and other documents. Save sorting through mementos and personal items until everything else has been purged. If you sort through personal items later in the process, you’re likely to treat them more objectively and to save only what’s truly meaningful to you. For the same reason, always purge your office while standing up rather than sitting down. Sitting tends to put us into a nostalgic and reflective mood. Standing makes us focus on the task: eliminating unnecessary items from our office space. There’s no reason why you can’t add other important items to your office space in the future. It just means that they, too, need one and only one home. Sometimes inserting a new possession may mean discarding an old one. Or perhaps your office can indeed accommodate one additional item and still look well organized. As long as the newcomer can be given a suitable and permanent “home,” it can stay. Otherwise, you’ll be backtracking on your commitment to be organized. Once you’ve established your new level of neatness and organization in your office, your next goal is to maintain it. Some of this maintenance will occur automatically; you’ll sense when one of your permanent possessions is out of place or when an interloper is infringing on another object’s space or an area that was intentionally left open. For the rest, a surprisingly short amount of time is needed to keep things organized once they’ve been assigned a proper home. In the meantime, you’ll probably find that your thoughts are more organized when you work, your ideas are more innovative, and your mood is more relaxed. Marla Cilley, Sink Reflections (New York: Bantam, 2002). Marie Kondo, The Life-Changing Magic of Tidying Up: The Japanese Art of Decluttering and Organizing, trans. Cathy Hirano (Berkeley, CA: Ten Speed Press, 2014). Reprinted from “Getting Organized,” Academic Leader, 32,09 (2016): 1,2. © Magna Publications. All rights reserved.